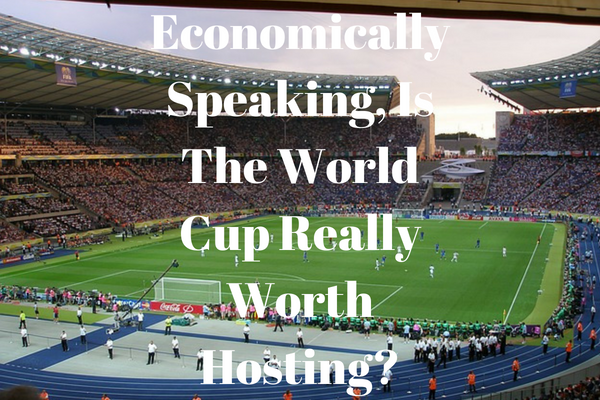 Is The World Cup Really Worth Hosting? With the world cup now over a week old, we have reached the moment when even those initially reluctant, those who decried it at its outset, give in to football frenzy and find themselves, at least twice a week, standing amid a crowd of similarly dressed strangers, screaming at 11 little men on a screen they can barely see. It is wholly inevitable, and few would disagree, thoroughly enjoyable. This emergent brand of patriotism is just one in a long list of certainties the World Cup will be serving up; the menu year to year, comfortingly, rarely changing. That said, given the propensity of every nation to hugely inflate its own chances pre-tournament, each will be met with a familiar mixture of disbelief, outrage and eventually depression. The scenarios we still have to enjoy, in no given order, will include: an England exit (on penalties, naturally); a disappointing Argentina (and subsequent referendum on Messi’s psychological fortitude); and a plucky underdog, whose fearlessness steals the hearts of all neutrals, but whose hopes are cruelly dashed when knocked in the quarters - presumably by an offside goal inexplicably missed by VAR. And yet, despite knowing all this, we wait, as always, with bated breath. Regrettably, in recent years the host nation losing out financially has become almost as predictable as the above; this outcome though, the loss of billions of dollars of taxpayers’ money is less amusing, and its effects far longer lasting, than the odd England penalty miss… With Russia having committed a reported $11.6 billion for this year’s incarnation, questions have once again been swirling as to the financial viability of hosting football’s greatest prize. The widening economic consensus on the topic is that approaching hosting duties as a financial investment to be followed by commensurable returns is foolhardy, at best. Casting an economic eye over the experience of the last few hosts provides ample evidence to support this theory, undermining, in the process, the age-old maxim that economists are simply ‘bad sports’. The 2014 world cup in Brazil is perhaps the case in point. Four years on from what by footballing standards was a huge success, and the post-festa hangover is still being keenly felt. According to the Harvard Business Review, the country’s preparations cost an estimated $11-14 billion dollars, a sizable chunk ($550 million) funding the construction of Brasilia’s Estadio Nacional – rather symbolically, now used as a bus parking lot. Put into context, such outgoings, if redirected, could have paid for the country’s annual social welfare bill twice over. Of course, comparisons of this kind are immaterial if the investment had given sufficient returns. Alas, until now this has not been the case, its economic impact is expected to be, at it’s very, and most unlikely, best around $13 billion, while its lowest estimate stands at a paltry $3 billion. The outlook, one can observe, is far from rosy. There are some very basic economic reasons for this shortfall, which, in addition to Brazil’s relative lack of pre-existing infrastructure, diminished from the outset the chances of the country turning a profit. The most obvious, and aforementioned, is the cost of sporting infrastructure – stadia do not come cheap. Even when constructed, maintenance costs can spiral, especially when, like in Brazil’s case, they cannot be used regularly enough post-tournament to cover the costs of their own upkeep, burning instead a sizable hole in the nation’s coffers. This, unfortunately, is also the enduring legacy of the 2010 World Cup in South Africa, where, as explained by Reuters, 9 out of the 10 stadiums built or renovated for the world cup – a process which made up a quarter of the overall budget – are now in the red, with overheads falling on often ‘cash-strapped’ municipalities. Such is their financial plight officials have attempted to turn attention to the ‘non-tangible’ benefits the tournament afforded, perhaps not the best consolation for those with pressing social concerns. Consequently, both countries have experienced a proliferation of debate, conducted with some stridency, over whether it would have been more humane to have simply invested directly in the respective communities most in need. A common counter to this has been that government spending tends to prompt a rise in Gross Domestic Product - a key indicator of national economic performance. However, this can often be unevenly felt and short-lived, the effects of little consequence to the median worker. In response to increasing global inequality, the OECD has recently put forward that emphasis is better placed on ‘inclusive growth’; spending that attempts to deliver economic growth whilst fostering widespread and sustained improvements to living standards. Sporting infrastructure does not lend itself to this goal. Beyond the fact that a stadium is not integral to the fundamental well-being of the common man, they routinely take up scarce and highly sort after real estate. A boost to tourism, one of the favoured arguments adopted by prospective hosts, also begins to look dubious under closer inspection. Yes, events of such magnitude attract huge numbers of fans for the period in which they run, but they also disrupt existing flows of holidaymakers, and in many cases put people off visiting for fear of overcrowding. Even when numbers do increase it may not lead to a ‘Pareto’ gain due to the associated costs from which the increase is procured. South Africa, again, provides a prime example. As the World Economic Forum explains, although failing to match the anticipated 450,000 tourists, South Africa did experience a ‘visitor spend increase of over a quarter’ during the World Cup period; this was, however, offset by the acquisition cost of an estimated $13,000 per visitor. Enough, as the forum points out, to have ‘paid the wages of the entire working population for a week’. Brazil too didn’t experience the boost to its tourism industry it had anticipated, and importantly, had been factored into its costing. 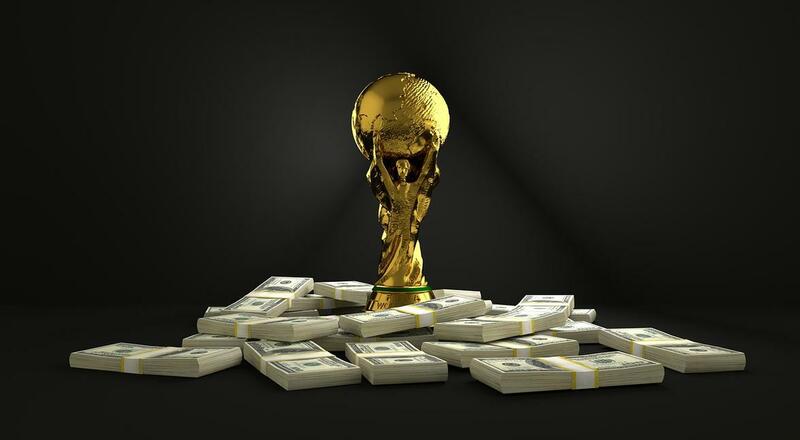 Scholar, Mirele Matsuoka De Aragao, in his report on the ‘Economic Impact of the World Cup’, estimated that increased tourist revenue, in the time since, amounted to only 2.5% of the total governmental investment. And, the boost in the number of tourists lasted for only 3 years following the tournament’s close – both, particularly bleak figures. Despite the above, as damning an analysis as it may sound, the World Cup and similarly large-scale events like the Olympics can still be profitable, a prime example the London 2012 Olympics, which brought in revenues that exceeded $5 billion. Its success was attributed to a combination of meticulous planning and high-quality, pre-existing infrastructure. Looking for a job in the world of economics, business or finance? Click here for a comprehensive list of what is currently on offer!